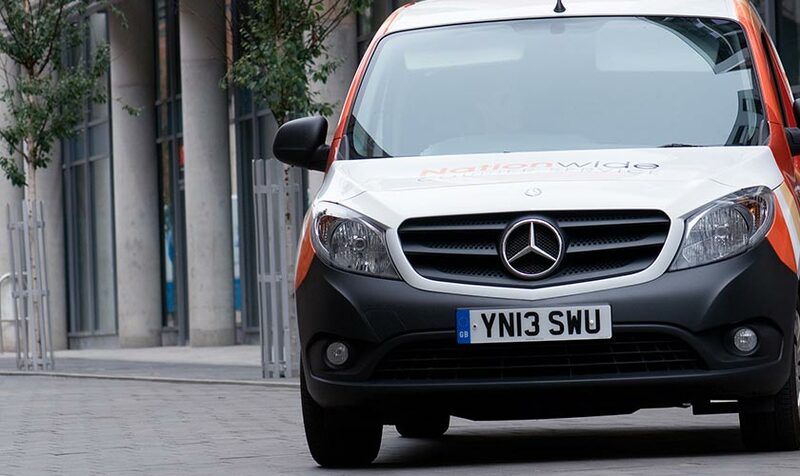 You can rely on us to collect and deliver 24/7, 365 days a year. At Nationwide Courier Service, we offer a personalised service to all our customers. We specialise in same-day delivery, collecting from your door within one hour of booking 24/7 365 days a year. With over five years in the business and a large fleet of vehicles from motorbikes to 18 tonne lorries you can trust us to get your items however big, small, heavy or awkward from A to B. Any time, any place, any day. Your business and domestic needs are our priority. Take a look at the different services we offer and the sectors we support. We support the automotive and aerospace industries by ensuring the supply chain is fast and efficient. Keeping production going and ensuring the continuity of the supply chain is important to your business. Whether it is an urgent passport delivery or crucial visa pick up, we will ensure that it gets from A to B on time. With a range of vehicles available, including refrigerated vans and lorries we keep food and drink fresh and to ensure the quality of your product on delivery. As the only specialist art courier in the East Midlands, we pride ourselves on the personalised service that we offer. We have a proven track record of helping high street favourite stores such as Vison Express and Vauxhall Motors. Not only can we deliver your items, we can also store them too. We have a large storage facility on our premises with a 24 hour monitored alarm system and CCTV coverage throughout for those items that need to be delivered at a later date. Ask us for more details. We have worked with some of Britain’s high street favourites and celebrated art institutions.